Blue Springs continued its late-season surge. Blue Springs used two second-half touchdowns to outlast the Raymore-Peculiar Panthers 14-12 for its fifth straight win and a berth to the Class 6 District 4 championship game. Wildcat Head coach Kelly Donohoe credited his defense and big offensive plays for his team's comeback from a 6-0 deficit at halftime. Ray-Pec started the game in good field position at the Blue Springs 44, but the drive stalled and the Panthers were forced to punt and pin back the Wildcats. But the first play from scrimmage resulted in a muffed option pitch, giving the ball right back to Ray-Pec at the 4-yard line. Despite the great field position, as was the theme of the first half, the Panthers hurt themselves with penalties and settled for a 32-yard field goal. While the Panthers were plagued by penalties, the Wildcats made things difficult on themselves with bad snaps. As a result, Blue Springs managed just 83 yards of offense and coughed up two turnovers in the first half. Ray-Pec didn't fare much better with only 95 yards in the first half, but looked to extend its lead late in the first quarter when Bailey Custer picked off a tipped pass. The Panthers drove inside the Blue Springs 5-yard line, but couldn't punch it in and settled for a 23-yarder, making it 6-0 going into halftime. The constant rain gave the defenses the advantage. After punting the ball away on their opening drive of the second half, Blue Springs got a fumble recovery at the Panther 20. The Cats were backed up to fourth-and-17 when Dylan Cowling lofted one up to the endzone and Caleb Marquez came down with it. Blue Springs knocked off a No. 2 seed and kept its season alive. Tresten Spruell ran for 110 yards and two touchdowns to lead the Wildcats to a 24-20 win over host Joplin in Class 6 District 4 first-round action Friday night. All of the scoring came in the first half as the Wildcats (5-5) held on in the final two quarters to advance to next week’s second-round matchup at Raymore-Peculiar, a 24-21 winner over Rockhurst. Spruell scored on a 24-yard run in the first quarter before Joplin tied it 7-7. Caleb Marquez caught an 11-yard touchdown pass from Chase Donohoe early in the second quarter to put the Wildcats back ahead. After Joplin tied it again, Spruell scored what proved to be the winning touchdown on a 1-yard run. Joplin answered with a touchdown but missed the extra point to preserve a 21-20 lead for Blue Springs. Tristin Williams, who was perfect on all three extra-point attempts, drilled a 40-yard field goal late in the first half to give the Wildcats a cushion. The Wildcats held Joplin to 89 yards rushing and 206 passing, and the defense recorded three sacks. 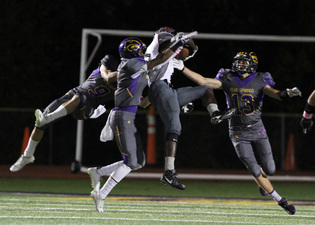 Blue Springs’ defense made big play after big play. And with Lee’s Summit North having the football on its side of the field with less than 30 seconds and down eight, not surprisingly, the defense came through again. Broncos quarterback Nathan Webb scrambled around trying to find an open receiver. The pocket broke down and he was sacked by Johnnie Middleton, Blue Springs’ fourth of the day, and with the Broncos having no timeouts, the clock expired. After the play, Wildcats coach Kelly Donohoe ran along the sideline firing off multiple fist pumps after his team pulled out a 23-15 win Friday at Peve Stadium. The Wildcats’ shut down North’s running game, limiting running backs Chase Swisher and Tory Hicks Jr. to 45 yards on a combined 21 carries. The only significant damage done by the North offense was done by star receiver Cameron Hairston, who had 131 yards receiving on six receptions. For most of the first half, it was a defensive struggle. North’s Brad Bennett nailed a 39-yard field goal to make it 3-0 before Blue Springs’ Tristin Williams tied it with a 23-yarder with 4:29 left in the first. After getting the ball to the Wildcat 14, North ended up settling for a Bennett 31-yard field goal to make it 6-3 with 26.2 seconds left in the first half. 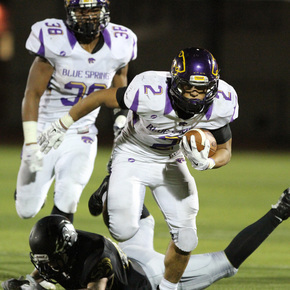 The Blue Springs offense then got its biggest play of the game. With 18 seconds left, and the ball at their own 44 after a 24-yard return by Codie Bell, Wildcats signal caller Dylan Cowling bombed a 56-yard TD pass to Kori Cheatham, who got behind the Bronco defense for a 10-6 halftime lead. The Broncos (5-4, 2-3 Big Six) later got a safety after Wildcat punter Josh Dodge couldn’t grab a high snap as the ball rolled through the back of the end zone, making it 10-8 early in the fourth. 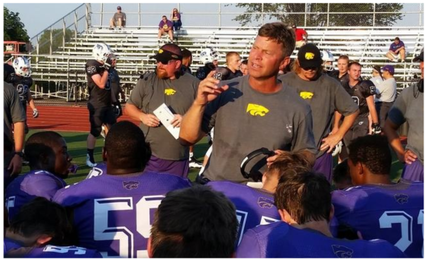 When Blue Springs started this football season 0-4, Wildcats coach Kelly Donohoe didn’t panic. And he didn’t panic early in the fourth quarter of Friday night’s 31-24 win over visiting Lee’s Summit West after the Titans had rallied to make it 17-17 either. Nor did running back Tresten Spruell or wide receiver Tanner Taula. But with the score tied, the offense responded by finishing off two drives – both with TD runs from Spruell. Spruell, who paced the Wildcats with 258 yards and three touchdowns on 27 carries, shared Donohoe’s frustration. He also knew the Wildcats were about to move the ball and get back after it, he said. “I have no doubt in my team,” Spruell said. For Taula, whose grab of a last-minute onside kick attempt helped prevent the Titans from staging a game-tying or game-winning drive, the offensive line fueled his confidence that the Wildcats would take care of business. The Wildcats executed well enough offensively to possess the ball for 33 out of 48 minutes. For West’s defense to be on the field that long was not Titan football, said Titans coach Royce Boehm. Early on, it didn’t appear the Wildcats would need to win it down the stretch, as they built a 14-0 lead within the first 12:58. Spruell’s 10-yard TD run made it 7-0 with 5:10 left in the first quarter. Jaylen Ivey added a 15-yard TD run with 11:02 left in the second quarter. West (5-3, 2-2 Suburban Big Six) cut it to 14-10 by halftime. First, Dalton Dye booted a 32-yard field goal with 7:43 remaining. Then Cole Taylor tossed 17-yard TD pass to Zach Shanholtzer and Dye’s point after with 46.4 seconds left made it a one-score game. After pushing a field goal attempt wide right midway through the third quarter, Tresten Williams booted through a 35-yarder with 1:55 left in the quarter to make it 17-10 Blue Springs. Taylor and Shanholtzer connected on a 43-yard catch-and-run for a touchdown and Dye booted another point after to tie it with 9:44 left in the fourth quarter. 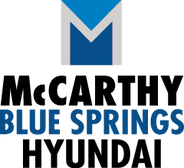 A big day by Tresten Spruell helped the Blue Springs football team claim its second win of the season. Spruell rushed for 162 yards and a pair of touchdowns as the Wildcats beat host Raymore-Peculiar 21-14 to spoil the Panthers’ homecoming. Jaylen Ivey scored on a 22-yard run in the fourth quarter to break a 14-14 tie and boost Blue Springs to 2-5 overall and 1-2 in the Suburban Big Six. Spruell scored on a 5-yard run in the first quarter for a 7-0 lead, before Ray-Pec’s Carter Lanning tied it in the second period on a 4-yard run. Spruell scored on a 3-yard run in the third quarter to put the Wildcats back up 14-7. Baylee Custer scored on a 3-yard run to tie it for the Panthers before Ivey provided the winning score. The Blue Springs defense got three interceptions to help overcome two interceptions of its own. 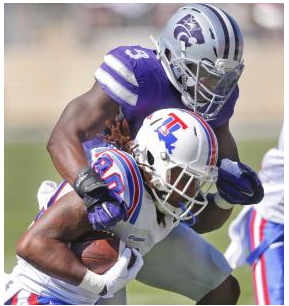 MANHATTAN — With an offense that struggled to gain momentum until late in the game, the Kansas State defense did all it could to slow a Louisiana Tech attack that came into the game averaging 50 points and nearly 600 yards offense. A huge part of the defense’s success against the Bulldogs was the play of sophomore linebacker Elijah Lee and junior defensive end Jordan Willis. The duo combined for 17 total tackles and 5.5 sacks, with each player having a sack that forced fourth downs in K-State’s 39-33, triple-overtime win at Bill Snyder Family Stadium. Not only did both players do well statistically, they teamed to make a game-changing play late in the fourth quarter. After Lee and Willis combined for a fumble and recovery on the Louisiana Tech 29, K-State (3-0) secured a three-point lead after a short field goal with under three minutes remaining. Lee led the team with a career-high 12 tackles, and the sophomore’s two sacks also tied a career high. While Lee made a few coverage mistakes, the key to his success seems to revolve around forgetting those mistakes quickly. The highlight for Willis came late in the third quarter when he registered back-to-back sacks, putting the Bulldogs in an insurmountable third-down situation. Willis also received praise for his work ethic and desire to improve. When Blue Springs heads onto the field tonight at Noyes Field, there will be a certain touch of Northwest Missouri on the sideline. 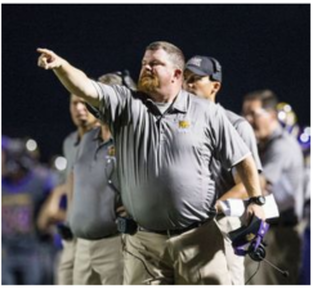 The Class 6 school, which will face Central in a battle of winless teams, has a pair of former Benton coaches and area natives on the coaching staff in defensive coordinator Derek Wilson and running backs coach Damon Alsup. Both coaches were reared in the Midland Empire Conference with Wilson graduating from Benton and Alsup from Maryville, with a brief period of overlapping years in the early 1990s. The two later coached together at Benton for five years. Now, the pair is returning to a town where both played many games growing up. Alsup has been on the Blue Springs staff since leaving Benton following the 2007 season and has won a pair of state championships along the way. He has coached at Noyes Field twice, while this trip for Wilson will be his first since 1998. He was then an assistant coach at Park Hill South and recalls Central winning 14-0 thanks to two interception returns by Dwayne Blakely, who later played in the NFL. Those picks came off Tommy Hottovy, who later played for the Royals and Rangers. Cale Connors, the Blue Springs South backup quarterback, helped coach Greg Oder and the rest of the Jaguars scratch a seven-year itch Friday night at Peve Stadium. His performance late in the fourth quarter helped down crosstown rival Blue Springs 27-24 in a Suburban Big Six battle that was played in front of an appreciative packed house at Blue Springs High School. The win helped the Jaguars improve to 3-0 and end a seven-game losing streak to the Wildcats. Blue Springs fell to 0-3 – with losses to state powers Staley, Fort Osage and South, but more on that later from coach Kelly Donohoe. When Jaguars starter Noah Nigro tweaked a shoulder injury on a jarring tackle at the line of scrimmage with 3:36 left in the game, Connors came off the bench and threw a first-down pass to Briley Moore-McKinney on a big third-down play and then hit wide receiver Rickey Nichols in stride on a 53-yard strike down the left sideline that gave the Jaguars the ball on the Wildcat 10-yard line. When the drive stalled, Jake Roark came in to kick his second field goal of the night to give the Jaguars a 27-16 lead.“Coach (Kelly) Groom (the South offensive coordinator) makes sure that Noah and I get plenty of reps in practice during the week,” said Connors, a junior who played quarterback last season until he broke his wrist at the midway point. “I came in and had the line block for me and Briley and Rickey made some great catches. It's just so exciting for Noah and the rest of the seniors to finally beat Blue Springs. We have so much respect for them. You could tell by the way they came back tonight they are a great team with great coaches – and we think we can be a great team and we have great coaches, too. “Rivalry games like this are a lot of fun – especially when you win.”While the Jags held onto that 11-point lead, the game was far from being decided. The Wildcats came back and made it interesting when Dylan Cowling hit 6-foot-6 tight end Tanner Taula in the far corner of the end zone on a 17-yard touchdown with 1:17 left in the game. Sophomore Michael Warmack – the younger brother of two-time state champion and two-time Simone Award winner Dalvin Warmack – carried the ball for a 2-point conversion and suddenly it was a three-point game. “We put all our good hands people on the line, knowing they were going to try an onsides kick,” Nichols said. “We had to get that onsides kick.”Samuel Knowlton's kick glanced off two Jaguars and out of bounds and the celebration began on the South sidelines. MANHATTAN — Confidence is a fragile emotion and following a redshirt freshman football season at Kansas State, Dalvin Warmack’s confidence was shaken. Warmack was a prize recruit for the Wildcats a year ago following a highly-decorated career at Blue Springs (Mo.) High School where he was the first two-time winner of the Simone Award as the top player in the Kansas City metro area. With the departure of John Hubert, there was an opening at running back and Warmack had the resume to step right in and contribute. For all the success he had in high school, it’s a huge transition to college football and Warmack — like the majority of freshmen — spent his first year at K-State as a redshirt. He was a fine practice player, earning the Red Raider Award as the top contributor on the scout team. Still, Warmack questioned his place in the Wildcat program and last spring considered transferring to another school. “At one point, yes, I did think about leaving, but I’m glad I made the decision to stay,” Warmack said, crediting his mother, Amy Hales-Warmack, for clearing his mind. The constant streaks of lightning that lit up the sky over Peve Stadium weren't the only things that crackled with electricity Friday night at Blue Springs High School. Fort Osage quarterback Skylar Thompson did it all for the Indians, who scored 15 unanswered second-half points to claim a 30-16 victory over the host Wildcats.Thompson, who was 9-of-10 for 156 yards passing, carried the ball 19 times for 43 yards and four touchdowns to keep the No. 1-ranked Class 5 team in the state undefeated going into the third week of the season. While Thompson was the star offensively, an Indians defense allowed some yardage but just two scores and a field goal, despite missing three starters due to suspension (they were involved in a sideline skirmish against the Cardinals last week and were ejected from the game) and one to illness. It took just one mistake to make things turn for the worse Blue Springs.Down 7-0 to Staley, a 47-yard run by running back Tresten Spruell and a 3-yard run from Dylan Cowling set the Wildcats up at the Falcon 1-yard line. On the next play, Cowling leaped over his offensive line and outstretched his arms in an attempt to get the ball over the goal line.He didn’t quite break the plane, and a horde of Staley defenders knocked the ball loose and it was recovered by Micah Daniels. The Falcons scored on the next possession, causing a 14-point swing, sending Wildcats into a downward spiral in a 35-0 loss on the road in the season opener. That was one of four turnovers for the young Wildcats. After the Falcons gained possession at the Wildcat 1, the Falcons got first down. 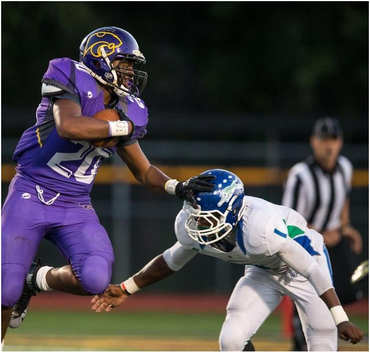 Then Faizol Bouchard, whose 149 yards on 10 carries paced his team, broke a 89-yard when broke a tackle and got behind the entire Blue Springs defense within 5 seconds of the play starting, making it 14-0 at the 8:56 mark in the second quarter. A blocked punt set up Staley for first touchdown. Punter Nathan Stewart bobbled the snap and his punt was swatted backward by a Falcon defender and recovered by Eli Ross. Two plays later, Joe Eller pounded it up the middle from one yard out for the Falcons’ first score with 2:19 left in the first. Blue Springs had the ball in Staley territory during its first three possessions, but couldn’t manage a score. The front seven for the Falcons had a lot to do with that, as they consistently pressure Cowling and sacked him three times. The Wildcats had a total of just 210 yards on offense. 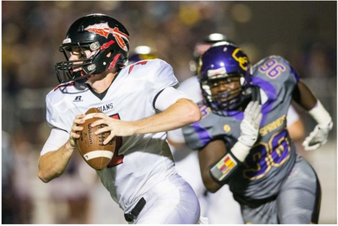 “Blue Springs has a pretty young line, but they’re going to get better,” Staley head coach Fred Bouchard said. 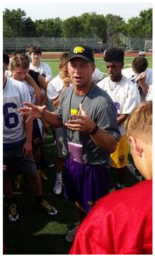 Kelly Donohoe, who has developed a prep football juggernaut at Blue Springs High School, was pleased with his Wildcats' overall effort Friday night at William Jewell College as they scrimmaged against Lee's Summit West, Raytown South and Liberty North in a jamboree. The Wildcats’ defense allowed just one touchdown – in the opening scrimmage against host Liberty North – while the offense scored a touchdown on a 4-yard pass from Chase Donohoe to Jon Rone against Lee's Summit West. Cornerback Mason Dunn, a vocal leader throughout the night for the defense, had a fumble recovery against North and prevented a long touchdown pass when he batted the ball away against a Cardinal wide receiver. The new-look defensive line featured a couple of tough newcomers in sophomore Khristian Boyd and senior Adam Van Hoecke (who missed last season when he tore his ACL in preseason practice), both of whom had sacks and spent much of the night in their opponents' backfield. Following the scrimmage, the Wildcats lined up for extra point and field goal practice. Cowling had the longest pass of the scrimmage, a 35-yard strike to Tyree King. 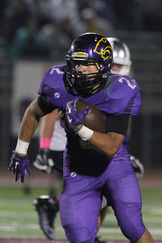 The Wildcats' longest run came from Tresten Spruell, a 22-yard effort. The Wildcats’ initial first down came on an 11-yard run by Jaylen Ivey. “This was a lot of fun,” said Chase Donohoe, a sophomore who has been on the sidelines with his dad since he was in second grade. So does Cowling, a junior who added: “This is a jamboree, it wasn't a game, but it was a game-like atmosphere. We played under the lights and played against three different teams, which is a lot different than practicing against your teammates. Even the most diehard Blue Springs High School football fan is going to need a program when the Wildcats start the 2015 season against perennial area power Staley. The Wildcats had won back-to-back Class 6 state championships heading into 2014 and finished that campaign with yet another Big Six Conference title and an overall 8-4 record that saw the season come to an end with a quarterfinal loss to Rockhurst. Many of the players from those three years have graduated and there are countless new faces on the Wildcats this season, including junior quarterback Dylan Cowling, who won a spirited quarterback competition with coach Kelly Donohoe’s son Chase, a sophomore. Cowling will take over an offense that Ian Brown ran to near perfection the past two years, winning state as a junior and coming close again in 2014. “I just want to thank God for the opportunity to play football and play quarterback at Blue Springs High School,” said Cowling, who had a few varsity snaps as a sophomore. “I probably say this every year,” the upbeat Donohoe said, “but I don’t know if we’ve ever had a better first day of practice. Their retention from July was great, and today (Tuesday) was almost as good. Much has been made about the quarterback challenge between Chase Donohoe and Cowling, and the coach simply said, “It was tough for one reason. Chase is my son, and I was only going to start him as a sophomore if he clearly won the competition. “He had to be the guy. And Dylan is the guy. He’s a year older, a year stronger, he’s more advanced physically and mentally and in the end, it was not a difficult decision. And Dylan is an outstanding young man who will become an outstanding quarterback.